You may have heard of a reverse mortgage with or without realizing it. Sometimes it is also referred to as a reveres loan, retirement loan or home equity conversion mortgage (HECM). It all depends on the lender you talk to. The HECM term is most often used by government-controlled lenders. In either case, it is important to know as much as you can about a reverse mortgage before you apply for one. So, if you are considering filling out a reverse mortgage application, here is some info to help you make a final decision. The purpose of choosing a reverse mortgage over a traditional mortgage is essentially to help you maintain financial comfort when you retire. Retirement usually involves trying to live on a low, fixed income. A reverse mortgage lender can give you a special loan if you are over age 62 that will give you another source of money during retirement. Unlike a standard mortgage, you will not have a monthly mortgage payment to make back to the lender. In fact, you may continue to receive money each month, depending on the terms you set up when you sign the mortgage agreement. You may be wondering what the catch of getting a reverse mortgage is. If you do not have to pay any of it back regularly, how can the reverse mortgage lender possibly benefit? Well, the answer is a reverse mortgage is a long-term way to borrow money. You will not owe the full balance back until you leave your home. Therefore, the loan may last for many years. However, it will accumulate interest throughout that time. Therefore, the lender will eventually receive a benefit. 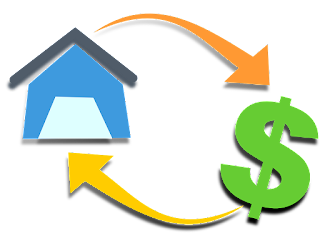 A reverse mortgage is a home equity loan, meaning it allows you to use part of the value of your home as money you can spend. Therefore, you may think the maximum you can borrow is the total amount of your current home equity. However, the government has instituted regulations preventing the full amount from being borrowed. Therefore, a reverse mortgage calculator must be used to determine how much you are entitled to borrow. First, the total value of the home must be determined. That value may depend on the condition, size and location of the home, among other things. It is a misconception that the only requirements to get a reverse mortgage are owning a home and being 62 years old or older. You must also meet other requirements. For example, the home itself must be your main residence. It cannot be a vacation home. Also, you must pass a credit check and be capable of performing ongoing maintenance tasks, such as paying the property taxes on the home. Like most other businesses, the reverse loan industry is not immune to scams. If you want to avoid such scams, you must be careful when applying for your reverse mortgage. Speak only to reputable lenders, such as government-operated agencies. The Department of Housing and Urban Development (HUD) is a good resource. Many private lenders are also reputable, such as local banks. However, when seeking a private lender, you should speak to a representative of an institution that is well-established in the community. Ideally, you should choose an institution you have done some other form of business with successfully in the past.